Luminous in red, Strata Volcano is a sculpture made of stitched and beaded silk. Multiple colors of thread were stitched on the surface of red silk remnants. 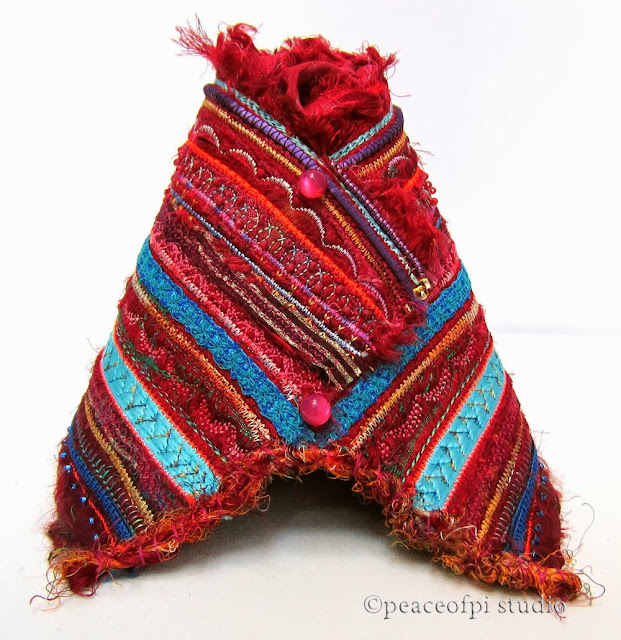 Other fibers and beads were added and the fabric was shaped into a conical structure complete with a curious cave. Inside the cave is the dark but colorful interior where the layers of stitching mimic the various minerals and substances that make up a volcano. This fiber art sculpture in red is the third in the Silk Threads series.